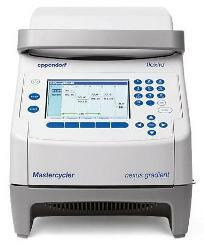 The Mastercycler nexus brings reliability and ease of use along with low energy consumption when it comes to the daily routine of PCR. Easy expansion to 3 units with a small footprint fits perfectly on any lab bench. The flexlid accommodates all types of consumables, from low volume all the way up to 0.5 mL PCR tubes. Intuitive graphic programming with protocol templates for ease of use.